Couples trying to have a baby may be frustrated by both a failure to conceive and a failure to maintain a pregnancy once conception has occurred. Over the past few decades, it has become increasingly apparent that immunological factors make a substantial contribution to these two clinical infertility problems. The body’s immune system includes among its functions the ability to distinguish self from non-self. This ability (probably not as absolute as once believed) is crucial in the recognition of ‘foreign’ or threatening invasion by infection or cancer cells. In some instances (called autoimmune diseases), the immune system recognises ‘self’, and that recognition leads to inflammation, damage and disease. Pregnancy is a unique situation in which the placenta (recognisable as ‘non-self’, or separate from the mother) invades the lining of the womb and is a potential threat to the well-being of the mother. The mother’s immune system must recognise that threat, but also respond in such a way that does not eliminate it. The mother’s immune system is critical in establishing the relationship between the mother and the foetus that allows both to flourish. The immune system has two main mechanisms: cellular (type 1) and antibody (type 2). In normal pregnancy, substances produced by the placenta (particularly progesterone) cause a shift in how the mother’s immune system behaves, so that it becomes ‘type 2 dominant’. This is because type 1 responses are potentially more dangerous for the pregnancy. This shift means that some autoimmune diseases that are predominantly cellular, such as rheumatoid arthritis, tend to get better during pregnancy. But it also means that antibody autoimmune diseases such as Lupus (SLE) can get worse, and specific antibodies can have their own harmful effects too – on both the placenta and the foetus. About seven per cent of the population suffer from an autoimmune disease at some stage in their lives, and some have life-long autoimmune diseases such as insulin dependent diabetes and rheumatoid arthritis. Failure of the testis or the ovary can result from autoimmune processes, although it is currently impossible to prove in any individual. Anti-ovarian and anti-testicular antibodies can be detected in the blood of individuals with ovarian and testicular failure, but the tests are neither sensitive nor specific (the antibodies are also found in apparently normal men and women; and it is not known if they are the cause or effect of the problem) and by the time the diagnosis is made, it is usually at the stage of complete ovarian or testicular failure, when it is too late for treatment. Sperm antibodies, whose cause is also unknown, may occur in either the male or female partner, and can be found in the blood or sexual secretions, or both. The tests (agglutination, or immobilisation — using immunobeads) are difficult to carry out reliably and can only be done at a few specialist centres. In addition, by examining the ejaculate in the post coital test, one can get some clues about the interaction between spermatozoa and female genital secretions. However, in recent years it has become apparent that the successful treatment of otherwise unexplained infertility by intrauterine insemination or IVF has made the identification of these antibodies often somewhat academic. In the ejaculate, sperm antibodies can cause infertility by affecting sperm mobility or binding to the egg, although it is still unclear what level of antibodies is significant to warrant treatment. It is now known that immunosuppressive therapy (e.g. Prednisolone tablets) does not improve fertility in this situation. Previous therapies involved washing sperm, followed by artificial insemination or IVF. However, in the context of otherwise unexplained infertility the current treatment of choice is ICSI (where a single sperm is injected into a single egg). Sperm antibodies in female sexual secretions may also trap spermatozoa and prevent them from progressing through the genital tract. There may be instances of cytotoxic antibodies that actually kill the spermatozoa. Attempts to prevent the exposure of the female genital tract to spermatozoa for a period of some months by the use of condoms has been used in the hope that the immune response will diminish and then exposure will lead to fertilisation before an immune response occurs. Of course this treatment will frustrate many who are anxious to conceive as soon as possible. Immunosuppressive therapy with corticosteroids has been reported anecdotally with some success. 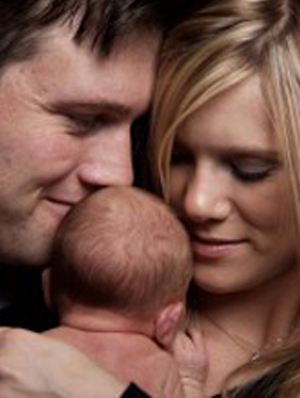 Undoubtedly, the most successful treatments are intrauterine insemination or IVF. In the antiphospholipid syndrome (APS), women have antiphospholipid antibodies measured as either ‘anticardiolipin antibodies’ or a ‘lupus anticoagulant’. If these antibodies occur in women with reproductive failure and no other clinical problems then this is termed the primary APS, and if there are other autoimmune diseases (e.g. systemic lupus erythematosus (SLE) or Sjogren’s syndrome) it is called the secondary APS. It is still unclear if antiphospholipid antibodies have an affect on fertility per se. The antibodies occur in about four per cent of healthy Australians, and cannot therefore be used to screen healthy women who are planning a pregnancy. They are found more often in women undergoing IVF, and can directly attack placental cells. They are often used as markers of a possible immunological disorder. But they are most often assessed in the context of pregnancy loss. Antiphospholipid antibodies are reliable predictors of adverse outcome in pregnancy, and are associated with early and late foetal loss, pregnancy induced hypertension, intrauterine growth retardation, prematurity, and both venous and arterial thrombosis occurring during pregnancy. It must, however, be firmly emphasised that these associations are not observed in every woman, nor in every pregnancy. Because 25 per cent of APS give positive results for only anticardiolipin (aCL) or lupus anticoagulant (LA), it is important to test for both during investigations. In general, the higher the level of anticardiolipin antibody or the stronger the lupus anticoagulant, then the more likely an adverse outcome. There are, however, groups of patients with low positive anticardiolipin antibody and borderline lupus anticoagulant and poor obstetric histories so the level alone cannot be relied upon as a guide. Some women with phospholipid antibodies will deliver successfully. However, treatment with aspirin 100mg and clexane 20-40mg a day has proved safe and effective in women with recurrent pregnancy loss. It is unknown if such treatment improves implantation in IVF, although women with APS undergoing IVF should still be treated to reduce the risk of miscarriage. It is also not known whether or not this therapy reduces the risk of pre-eclampsia or intrauterine growth retardation. Another way in which autoimmunity can affect the foetus is by passive transfer of an antibody that has pathogenic effects. Examples include neonatal thyrotoxicosis, neonatal lupus and neonatal myasthenia gravis. All improve as the level of maternal antibody declines. Women with SLE need screening for particular antibodies which can cause foetal heart block and heart failure. In recent years, most immunology research has focused on the ‘specific’ immune system which includes T cells and B cells. Natural killer (NK) cells are neither, but they are types of white blood cells (lymphocytes) which are part of the ‘nonspecific’ or ‘innate’ immune system. It is believed that in evolutionary terms NK cells are amongst the most primitive elements of the immune system. Their prime role appears to be the early detection (surveillance) and elimination (killing) of cells that are not recognised as ‘self’ (e.g. infections or cancer). Their killing capacity is also closely linked with cellular or type 1 immunity. As such, they are potentially very threatening to a developing pregnancy. It is perhaps not surprising that such an ancient arm of the immune system is also intimately involved in the most fundamental aspect of the propagation of life: reproduction. NK cells are the main immune cell-type found in the uterus. Their numbers increase through the menstrual cycle to peak at the time of implantation of an embryo. If an embryo does implant, NK numbers increase further to 70 per cent of all cells. Uterine NK numbers start to decrease at 20 weeks of pregnancy and are absent at the end of pregnancy. NK cells have receptors that can bind directly with placental cells, and they produce a range of potentially dangerous proteins called type 1 cytokines (including TNF-alpha and interferon-gamma). Thus, on the face of it, NK cells are likely to be intimately involved in the success or failure of embryo implantation, causing both infertility and miscarriage. However, it should be emphasised that it is still unproven that NK cells do actually cause reproductive failure. Evidence (see below) is still of poor quality and it is certainly possible that the studies so far simply describe an ‘association’ between NK cell activity and reproductive failure rather that a specific ‘cause-and-effect’. Interest in NK cell testing was stimulated by Alan Beer’s group in Chicago who, in 1996, first reported that blood NK levels were higher in women with reproductive failure. Since then over 30 publications have confirmed that finding in women with recurrent miscarriage, unexplained infertility and repeated unexplained IVF failure. Investigators have reported numbers as a percentage of all lymphocytes, absolute concentration, different subtypes, markers of activation (e.g. CD69) and bioassays assessing ‘killing activity’. There have also been studies (requiring uterine biopsy) assessing uterine NK cell levels which are also higher in women with reproductive failure. In spite of these valid criticisms, it is hard to ignore the evidence that there is. Furthermore, immunology (whether involving NK cells or not) is certain to be a major factor in reproductive success, and women with unexplained reproductive failure will always be looking for potential new ways to improve their chances. Thus, NK cell testing should be embraced in the context of research. There is no reason why women should not be tested as long as they are aware that both testing and treatment is still very much ‘experimental’ at the frontiers of current knowledge. It is possible that increased NK cell activity is just one of a number of possible markers of immunological dysfunction. These might include antiphospholipid antibodies, antithyroid antibodies, and other autoimmune disease. In prescribing any such therapy, the treating clinician should carefully explain the side effects, and experimental nature of the treatment. Randomised trials have shown no benefit in immune suppression in ‘unexplained reproductive failure’, but there is no evidence so far in the subgroup of women with high NK cell activity. Gatenby PA; Med J Aust 1994, 160:171-72.